auto-part-1 has no other items for sale. Other Part Number: Does not apply Material: High grade 600D polyester material. excellent transaction, *****very fast shipping! The item is great. It holds alot. AAA+++ awesome products great ebayer. The pockets are roomy and hold a variety of car and travel accessories. One small wish: the velcro would be better if they extended to allow closing the flap to the bottom of the pocket when the pocket is empty. 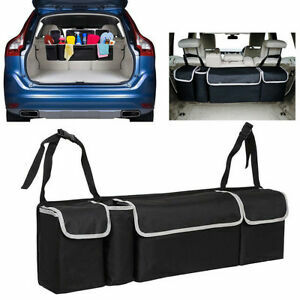 I love this product because it frees up space in my trunk.